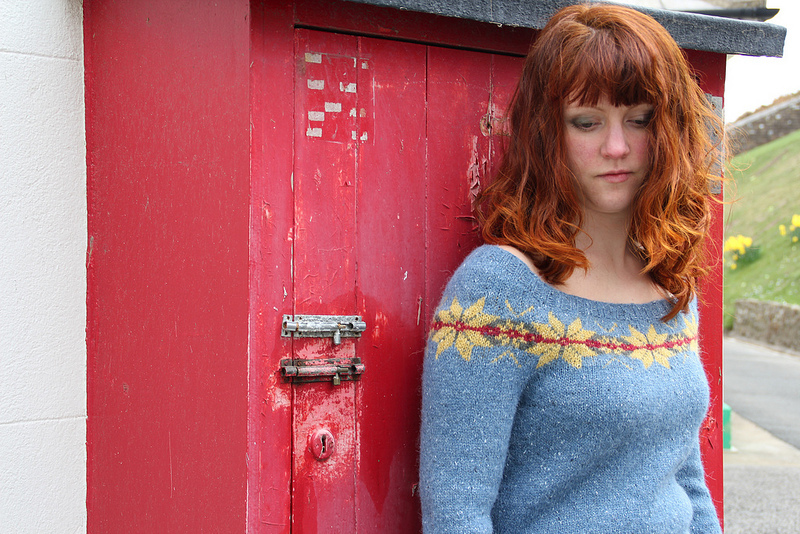 With just 21 rounds of stranded pattern this stylish jumper is an ideal project for colourwork beginners. 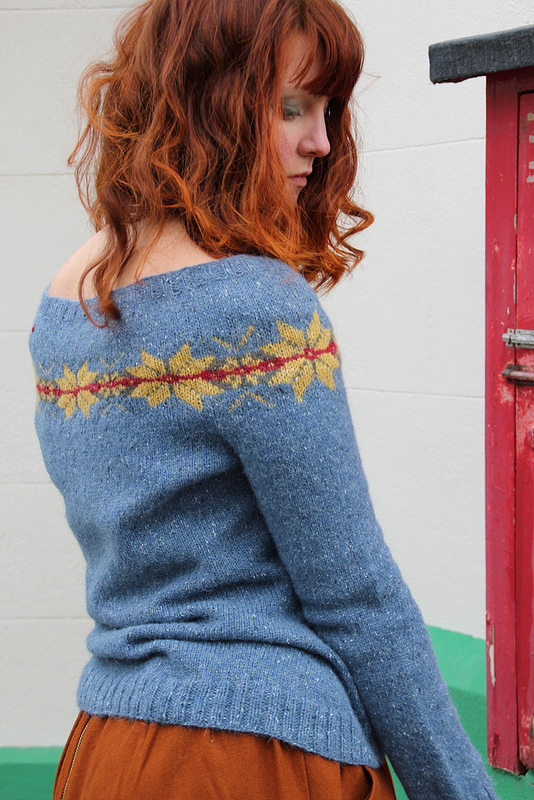 It is knitted from the top down in rounds, with short rows both above and below the colourwork to scoop the front neck. Side shaping also makes for a flattering fit. The pattern includes clearly illustrated tutorials for Japanese short rows and for two-handed stranded colourwork technique. The garment instructions are graded for 14 sizes, to fit chests from 32 to 58 inches. The pictured sample was knitted with Rowan Felted Tweed, which is akin to a US sportweight. If using Rowan Felted Tweed, you will need 6(6:7:7:7:8:8:8:9:9:10:10:10:11) 50g balls of Main Colour, and one 50g ball each of 3 contrast colours. Tension/Gauge is 26 sts and 32 rows/rounds per 10cm/4″ in st-st and in stranded pattern after blocking. Suggested needle size is 3.25mm/US 3. Corona Borealis is also available in Stranded Knits (see Books). I loved knitting this – the colours work together beautifully in the stars yoke, and the shaping is fabulous.